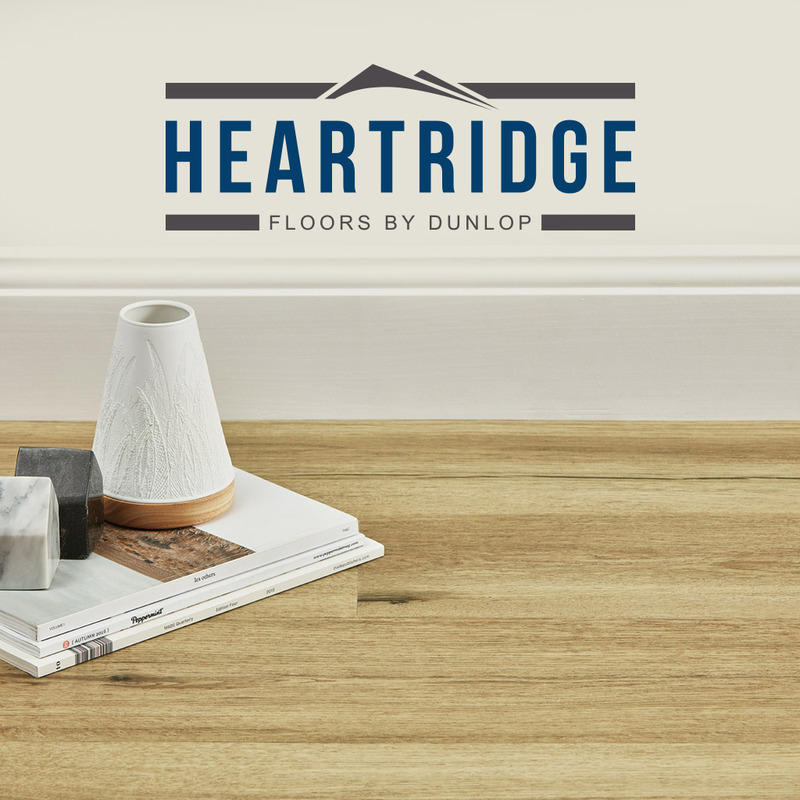 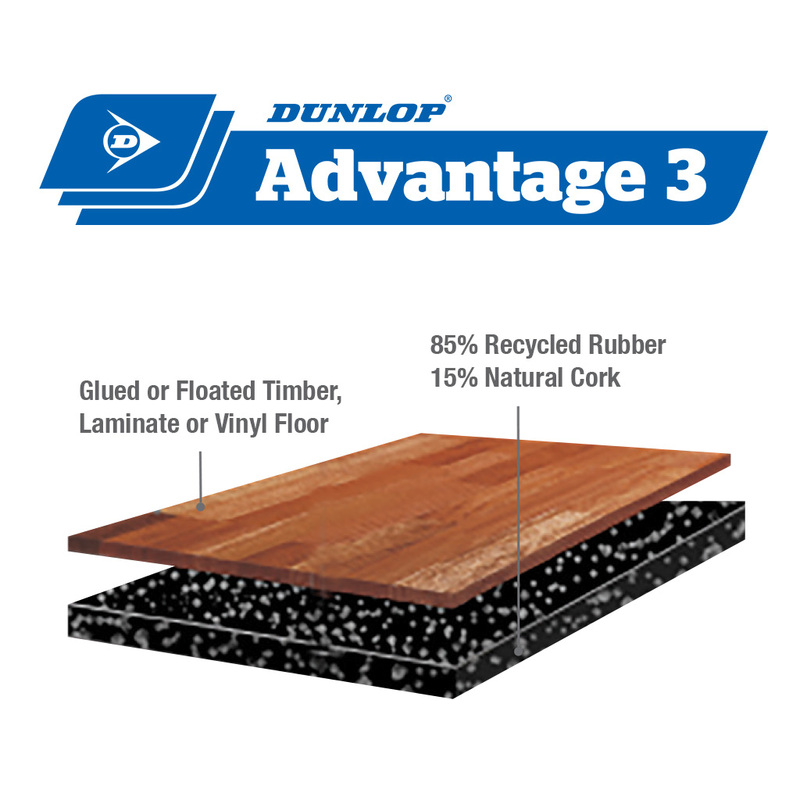 Dunlop Aquacoustic is a specialist hard flooring underlay that provides unsurpassed acoustic performance. 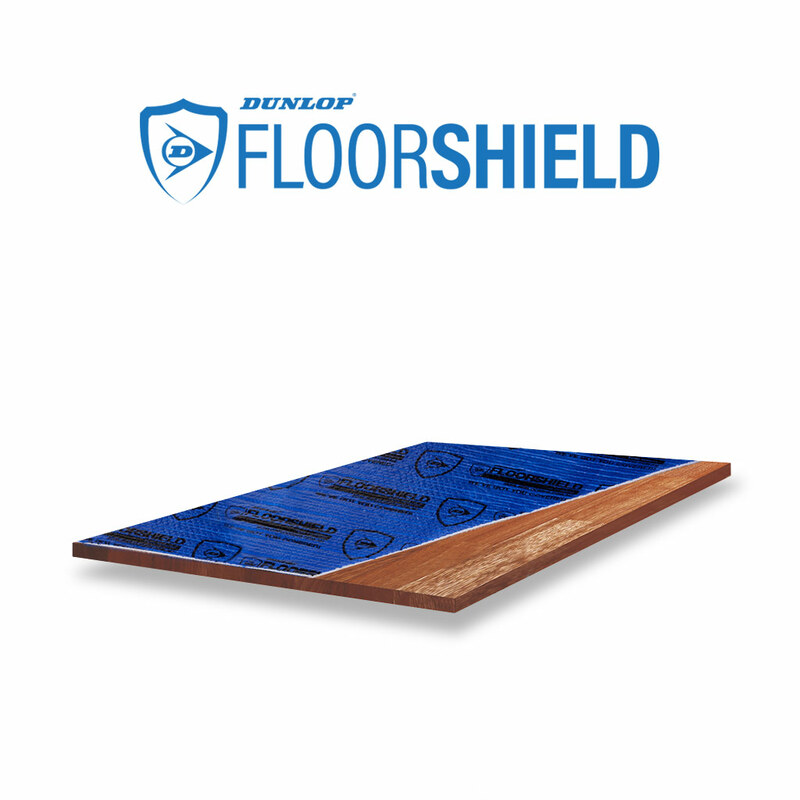 Incorporating a 200 micron moisture resistant barrier, Aquacoustic offers superior moisture protection. 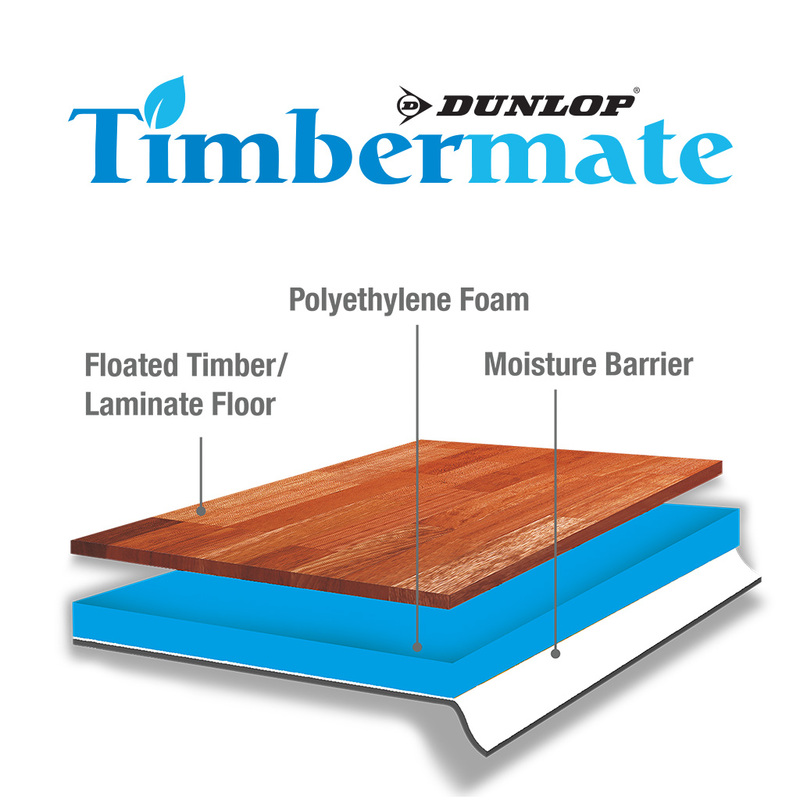 This product includes an incorporated tape seal on the end of the rolls for increased water vapour resistance. 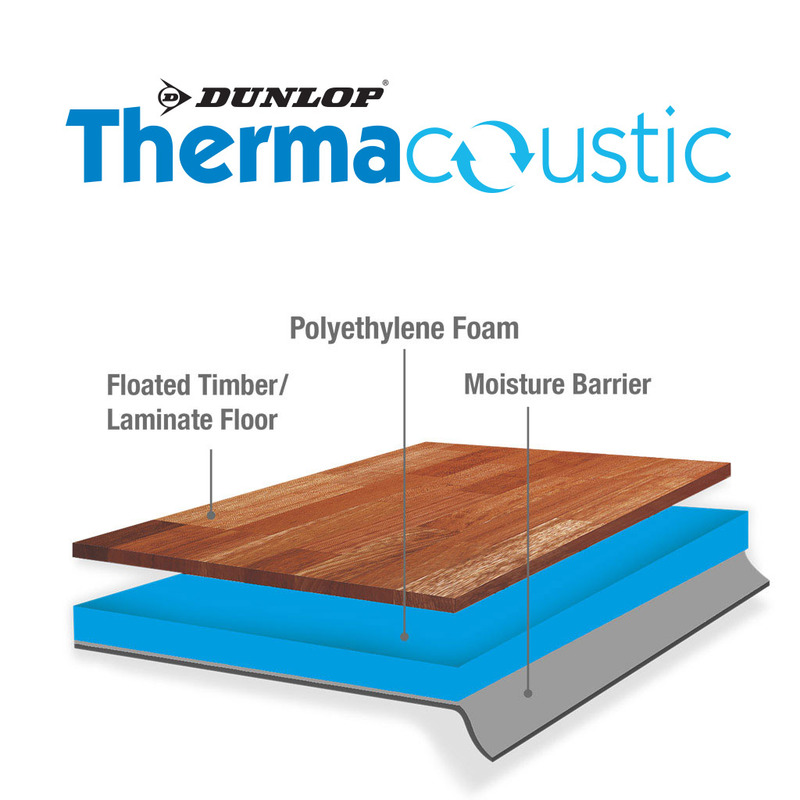 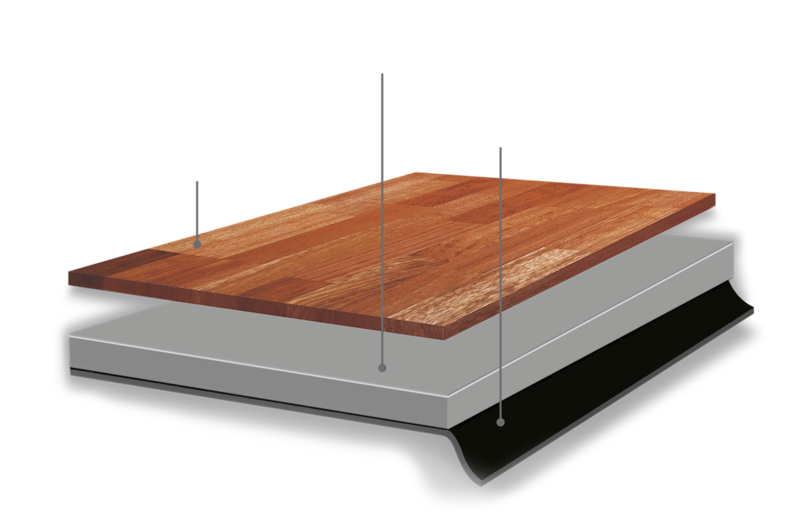 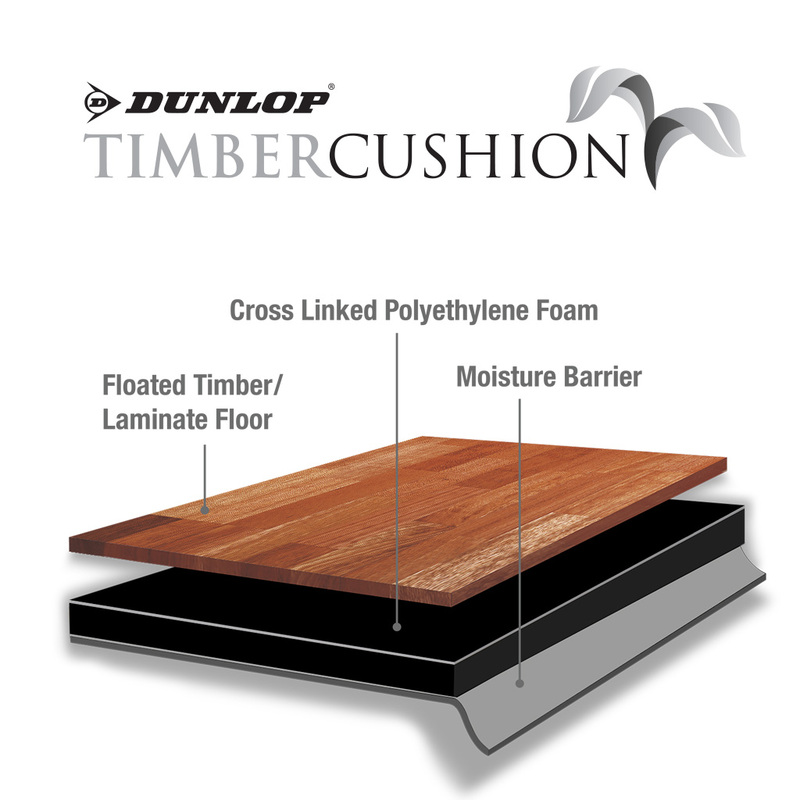 Dunlop Aquacoustic is recommended for use with most common laminate, engineered wood and solid timber floating floors where excellent noise reduction, unbeatable moisture protection and resilience is required.